Author: Linda H. Dykstra, Ph, D.
This 118-page program comes in a flexible binder for easier use which also contains a thumb drive with the print materials and the pre-segmented movie, Magdalena: Released from Shame. The program itself is divided into two parts. The Teacher’s Preparation section outlines the six-step lesson format and walks the teacher through a sample lesson. Also included in this section is an index of all twenty-four teaching tools as well as the focus and goal for each; a list of Bible verses to be memorized for each lesson, and a “Quick Program Review” of each lesson for easy reference. The second half of the binder is the Teacher’s Manual which contains all thirty-six lessons in individual sheet protectors so that they may be taken out and used as needed. One side of the lesson has the instructions for the teacher, while the other side is the teaching tool (an image) for that lesson. 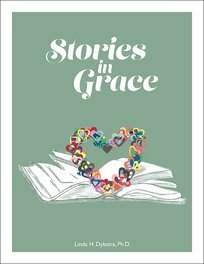 For more information about Stories in Grace, visit www.storiesingrace.org.